With the Japanese lower house of parliament currently debating a bill to legalise casino gambling, the subject of gambling is a trending topic in Japan right now. The bill is the culmination of ten years of lobbying - not least by former Tokyo Governor Shintaro Ishihara - and is seen by many as paving the way for the construction of some of the largest casino sites anywhere on earth. Passage of the bill, in truth, is far from guaranteed. Although it has the formal blessing of Prime Minister Shinzo Abe, the bill will also have to pass through the upper house of Japan’s legislature. And whilst Abe’s Liberal Democratic Party has a majority in the lower house it is dependant on coalition partner Komeito in the upper forum. With Komeito seemingly divided on the subject, the project remains far from certain to make it into law. 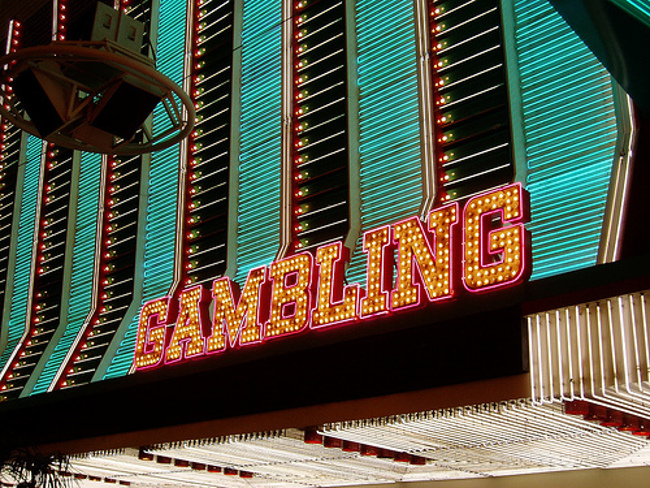 Proponents of the bill point to the ever growing popularity of casino games online in addition to the financial benefits that bricks and mortar casino developments would deliver in terms of tourism. With the 2020 Olympics on the horizon tourism revenues are another hot talking point right now. According to Koichi Hagiuda, secretary-general of the lawmakers’ group promoting the casino bill, Tokyo, Osaka and Yokohama are the prime candidates for the first casinos in Japan. The provision of thousands of hotel rooms as part of the proposed casino developments is being sold as an immediate benefit to the Olympics, given the surge in tourism it is expected to generate. More lastingly, claims of a boost to the construction and service industries - in terms of both investment and employment - are difficult to counter. Likewise, the tax revenues that such developments are anticipated to generate are not insignificant. Proponents point to the success enjoyed by such mega-resorts as Macau and Singapore. Opposition to the scheme is founded largely on the basis of fears of gambling addictions and the dubious reputation that Japan’s existing gambling industries have attracted - these comprise limited sports betting and the distinctively Japanese pin-ball like game of pachinko. Hagiuda and his associates counter the first of these arguments by pointing to a proposal to charge entrance fees to Japanese visitors (but not tourists), thus discouraging their participation whilst attracting overseas visitors. This model is based on legislation currently in operation in Singapore. The second objection is countered by insisting on the forensic regulatory scrutiny that the casinos will have to work under. With the gambling industry in general booming across the Pacific region, for Japan to turn its back on such a lucrative source of revenues would be seen by many as a return to the bad old days of isolationist politics. It would mean rejecting a ready source of jobs and economic activity and tax revenue at a time when all three are under severe pressure. The casino gambling bill’s passage through the twin houses of Japan’s legislature may not be guaranteed, but seen from an economic perspective there are compelling reasons why it should be approved. All of Japan has a stake in its outcome: a nation holds its breath. I am a sixty-year American and have lived in Japan well over half my life. If this deeply irresponsible and destructive bill passes, it would be an extremely sad day for Japan, a country that I love. The need for money is not a reason to sanction activity that debases the moral character of society. Adam Smith pointed out the foolishness of lotteries and indicated how it destroys more wealth than it creates. The wise Ben Franklin said "Women and wine, game and deceit make the wealth small and the want great." The way to wealth is through education and hard work, but these are founded on moral character. If it is OK for the government to resort to destroying the moral character of the Japanese public by encouraging gambling and the vices associated with it, then it is OK for a daughter to tell her parents that she's going to prostitute herself to earn money. It is precisely the same situation. Ishihara Shintaro is not known to be a man of good moral character, which is clear not only from his foolish and inflammatory statements but the characters he lionizes in his semi-pornographic novels. Japanese politicians should be ashamed to even consider this bill.